Havells is progressively diversifying its product portfolio by adding new products (added water purification and personal grooming in FY18) and also gaining market share from its competitors across segments and products. Havells India reported a strong set of numbers for Q4FY18. Decent performance in the core business (ex-Lloyd) drove the topline and operating margins higher across all categories. Lloyd’s revenues for the quarter remained flat but margins witnessed a favourable seasonal uptick. Overall, Havells has a strong foothold in the sector and the company seems well positioned to benefit from product premiumisation and penetration. Havells (ex-Lloyd) topline increased 18 percent year-on-year (adjusted for excise duties prior to GST). Electrical consumer durables (ECD) led the growth across all business verticals with a revenue growth of 29 percent. New product launches and deeper market penetration leading to an increase in market share drove the growth in the ECD segment. Growth in Lighting & fixtures segment was aided by deeper distribution, higher B2B sales, and refurbishment of old lighting. Contribution margins improved between 1-4 percent across different product segments. In Q4FY18, switchgears had the highest contribution margin of 39 percent followed by Lighting & fixtures at 31 percent. Operating efficiencies and price hikes (to pass on increasing input costs) aided the improvement in earnings before interest, tax, depreciation, and amortisation (EBITDA) margins of Havells (ex-Lloyd) to 13.9 percent in FY18 from 13.4 percent in FY17. Lloyd division registered revenues of Rs 584 crores for Q4FY18. Q1 and Q4 are the strongest quarters for Lloyds in terms of sales and margins due to its summer-focused product portfolio. Operating margins in Q4 were much higher at 12.4 percent compared to full-year margins of 8.0 percent. Lloyds, which was acquired by Havells last year, reported a contribution of Rs 1,414 crores to Havells topline in FY18. Sales remained muted as the demand was impacted by GST. The consolidation of low-margin Lloyd business dragged the overall margins lower to 12.9 percent in FY18 compared to 13.4 percent in FY17. In its current form, Lloyds is positioned as a pure mass brand. 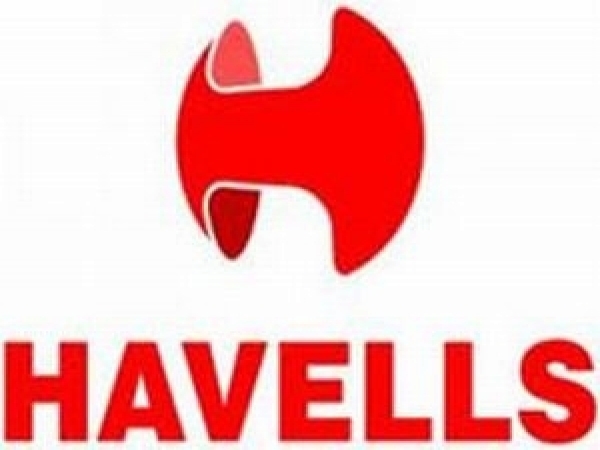 However, Havells through its brand development and distribution is trying to reposition it as a premium brand within the same customer segment. It has also tied-up with modern retail stores (Reliance & Croma) to increase market presence. As a part of its expansion strategy, Havells plans to add refrigerators under Lloyd’s portfolio which currently consists of air-conditioners, washing machines, and televisions. The company is incurring a capital expenditure of Rs 3,000 crores to set up a 600,000 unit air-conditioner manufacturing facility. This plant is expected to be operational by end of FY19. Lloyds spends around 5.5-6.0 percent sales towards advertising and promotions should help the company post a low double-digit growth this year. The management also expects the EBITDA margins to improve gradually. The EBITDA margins stood at 8.0 percent in FY18. The impact of GST seems to be fading and growth momentum is slowly catching up. While the company is witnessing strong growth in lighting and ECD segments, the demand scenario for cables is improving gradually. The growth in switchgear segment is expected to gather momentum with the revival in construction and real estate activities. Lloyd’s business is being repositioned for growth as well as margin improvement. In our view, integration and scale-up of Lloyd’s business remain a key challenge as the company seems to be doing well on most other fronts. Havells is progressively diversifying its product portfolio by adding new products (added water purification and personal grooming in FY18) and also gaining market share from its competitors across segments and products. 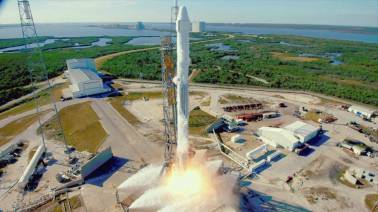 It has also been able to maintain its margins in an inflationary environment by undergoing price hikes. Havells (CMP- 541), currently trading at 35x FY20 projected earnings, seems priced to perfection. However, its positioning is strong and hence, accumulating any dip in the stock is recommended.